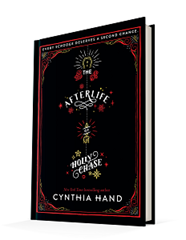 Published October 24, 2017, by HarperTeen, The Afterlife of Holly Chase by Cynthia Hand is a heartfelt, insightful and fun modern twist on an old classic. You know those excellent books that have the perfect voice, the one that is wholly human and realistic and even somewhat relatable? Well, here you have one. I picked up this novel on a whim — I needed a new audiobook to listen to too pass the time — and found that this novel was a complete delight. Let’s get this right, while I love Christmas because it means time with the family that I barely get to see. Yeah, I love the present too, but I also like giving presents. However, I am not a Christmas person, which is why I loved this story. It is a Scrooge story for young readers and for people who feel disillusioned by the Christmas holidays because this novel brings the joy and heart back to Christmas. Which, I am assuming, is the goal of the story. Holly, like any Scrooge, lost her way. She lost the heart of Christmas when her mother died, and so, under lousy tutelage, became selfish and materialistic. Holly did not heed the warnings of the Ghosts of Christmas Past, Present, and Future and so she died a Scrooge, not forced to walk the earth for the rest of her afterlife, but something else; forced to become the ghost of Christmas past every year and try to help other people find their way. Moreover, with one case, Holly is finally connecting to her role as the ghost of Christmas past while also finding the Christmas spirit. Hand went through such care when writing this story because it is not only about the story, it is also about the characters, and Holly is a great character. This novel scrutinizes and analyzes every facet of what makes a Scrooge a Scrooge. It is an in-depth look at the character and the title. Hand goes into Dickens works and capitalizes on those defining moments to make the story breath uniquely. There’s so much detail, emotion, and narrative that goes into every scene so that it structured effortlessly. The reader can feel what the story is all about; they can feel the sorrow, anger, and happiness in every scene, giving the story such vitality and drawing the reader into the narrative. It is easy to say that these are excellently written characters, but it goes beyond that. These are such believable characters that bring the story to life because, well, it is a Christmas carol, it is about finding that spark of the holiday, that love and good cheer. Hand does that in spades. The Afterlife of Holly Chase is ultimately one of those retellings that is breathtaking. 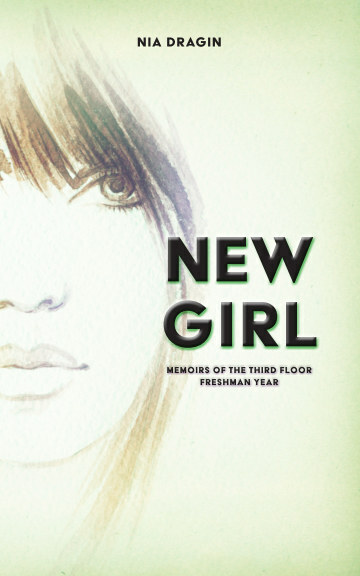 It has an utterly modern and realistic feel to it, but also has charming characters the reader cannot help but connect to. There is such vitality in the story and the way it is presented, structuring the tale in a way that makes it unique and delightful. Don’t wait for the holidays, pick this novel up soon.